Unique and unrepeatable, of extraordinary flavor and delicate aroma, Cuban rum comes from sugar cane, which with its characteristic sweetness and spirit, expressed in a magnificent eau-de-vie. 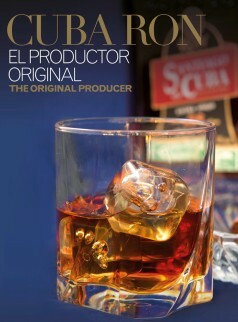 Products to be promoted: ‘Havana Club Añejo 3 años’ and ‘Havana Club Añejo 7 años’, in addition to ‘Santa Cruz’ rum. As an exclusive event, there will be a tasting of a product which is being designed for celebrating the 500 anniversary of Havana. Despite not having a commercial brand, it will be one of the most important products of the rum factory ‘Santa Cruz’ and it has been created by the Masters Juan Carlos and Salomé. In addition, ‘El Torreón de Santa Cruz’ will be inaugurated. The main goal of this Colloquium will be rescuing the West flavor, DOP Occidente, Havana Club brand, the best exponent of this typical flavor.